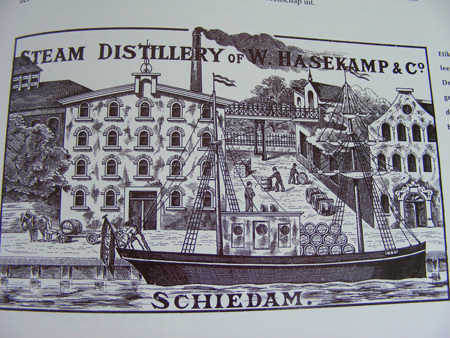 Founded in Schiedam in 1901 by Willem Hasekamp, who had travelled to Africa and recognised a market for a quality liquor in regions such as Ghana. 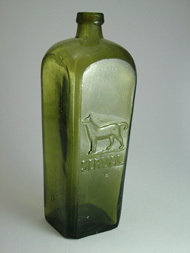 The distillery commenced with 6 employees and grew to 1,000 at the peak of production just before the outbreak of World War I. 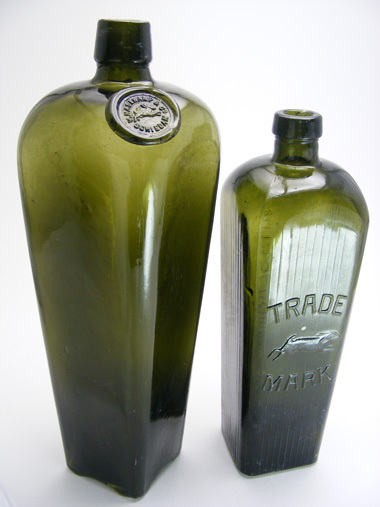 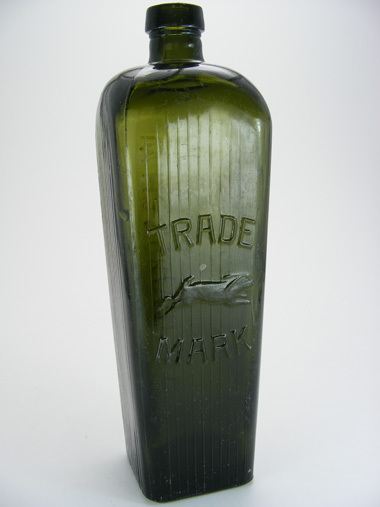 The company produced its own glass bottles, including "hand blown" bottles in the traditional tapered square variety that we all recognise as the "case gin", typically produced in the earlier prolific period from 1850 - 1880. 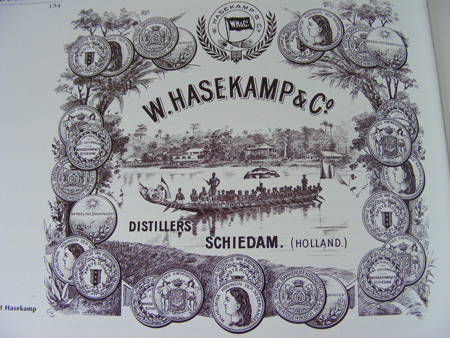 The HASEKAMP company was absorbed by HENKES in 1971.